Over the last two decades, interest in nanotechnology has led to the design and synthesis of a toolbox of nanoscale versions of macroscopic devices and components. In molecular nanotechnology, linear motors based on rotaxanes and rotary motors based on overcrowded alkenes are particularly promising for performing work at the nanoscale. In this chapter, progress on light-driven molecular motors based on overcrowded alkenes is reviewed. 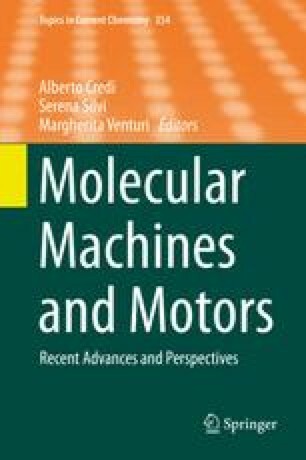 Both the so-called first and second generation molecular motors are discussed, as well as their potential applications.